Favorite Credits: Boeing Boeing and The Mystery of Irma Vep. Tell us about The List? 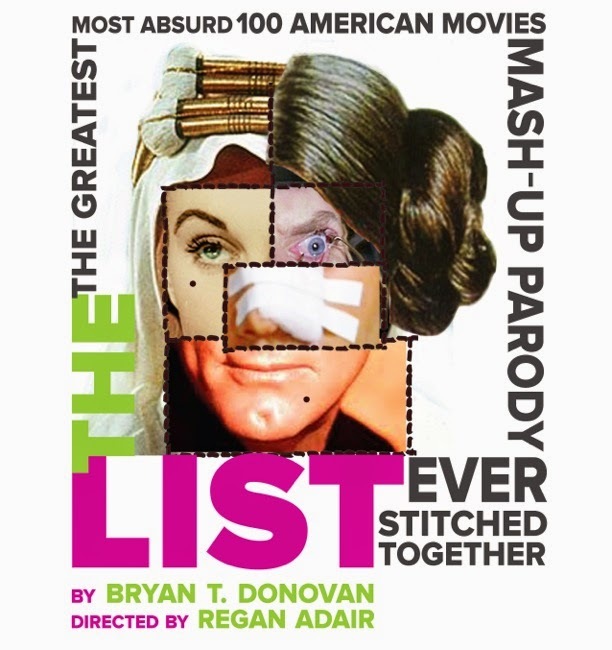 : The List is a mash-up, parody based on the American Film Institutes Top 100 American Films of all time in which 4 actors play over 40 iconic film characters in a twister of a comedy so crazy that by you’ll be wish Nurse Ratched WAS your primary physician. What inspired you to create The List? : While doing a production of The Mystery of Irma Vep out of town, I started watching the top 100 American films of all time as a way to help pass the time. After getting through about a dozen films or so on the list, a nugget of an idea began to form and percolate and from there…Well, the rest as they say, is history. If you could work with anyone you’ve yet to work with, who would it be? : Shia Labeouf, Lindsey Lohan, and Joyce DeWitt. I would love for the four of us to do a revival of Extremities somewhere. What show have you recommended to your friends? : Book of Mormon because I love that it’s next to impossible to afford. Who would play you in a movie about yourself and what would it be called? : If we were simply going by looks- I’m most often mistaken for Harry Styles from One Direction, but frankly I don’t see it. However, if we were going strictly by talent and had a great makeup artist at our disposal then I would say Kristen Stewart. Title: "Burnt Corn in Autumn". What’s your biggest guilty pleasure? : Bad TV and Skinnypop aged cheddar popcorn. What’s the most played song on your iTunes? : So I literally just scrolled through several thousand songs to see what was actually the most played on my computer. And I am not sure this is necessarily accurate, and it was a close call but Number #1- "I Look to You" by Whitney Houston #2-"Work B**" by Brittany Spears followed by #3 "Good Feeling" by Flo Rida. Frankly this list worries me. I feel like I don’t even know myself anymore. If you weren’t working in theater, you would be _____? : A hostage negotiator. Or a receipt checker at Ikea. What’s up next? : A seriously LONG overdo vacation and a massive clean up of my iTunes library.